Crypterio is now ready for a Smart Contract and a Whitelist integration through CSV/XML compatible format to manage token distribution. With this unique feature, ICO participants can effortlessly and securely register, pass KYC/AML procedure, get approved, and get listed on a Whitelist to purchase tokens during the Initial Coin Offering. Wildcard certificates allow you to secure all subdomains of a domain with a single certificate. Let’s Encrypt Wildcard certificates can make certificate management easier inWordPress Multi-site and other cases, and Let’s Encrypt want to address those cases in order to help get the Web to 100% HTTPS. Splash has four polished demos for basketball, baseball, football, and soccer teams. But the theme is really built with any sports or athletics organization in mind, making it also ideal for hockey, cricket, rugby, volleyball, racing leagues, track & field, and more. Splash is a great choice for sports teams, leagues, and clubs at all levels. Due to its versatility, it can be used for any number of sports around the globe. 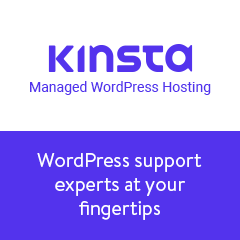 We’ve compiled a list of the three best free WordPress hosting providers you could use in 2018. You can learn more about what each of these can offer and then choose the one that’s right for you.